Her Secret Weapon (referred to as “we” or “us” in this privacy notice) , the data controller, is committed to protecting and respecting your privacy. This policy sets out the basis on which any personal data we collect from you, or that you provide to us through the use of our website http://www.hersecretweapon.com/ (referred to as “our site”), will be processed by us. Please read the following carefully to understand our views and practices regarding your personal data and how we will treat it. By submitting personal data to us, you you warrant to us that you are over 13 years of age and agree to us using your data as follows. It is very important that the information we hold about you is accurate and up to date. Please let us know if at any time your personal information changes by emailing us at bettina@hersecretweapon.com. We may process the following categories of personal data about you. We will only use your personal data for a purpose it was collected for or a reasonably compatible purpose if necessary. For more information on this please email us at bettina@hersecretweapon.com. In case we need to use your details for an unrelated new purpose we will let you know and explain the legal grounds for processing. We may process your personal data without your knowledge or consent where this is required or permitted by law. 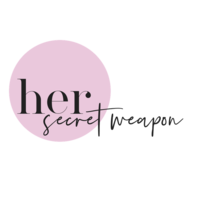 You can ask us or third parties to stop sending you marketing messages at any time by following the opt-out links on any marketing message sent to you or OR by emailing us bettina@hersecretweapon.com at any time. Unfortunately, the transmission of information via the internet is not completely secure. Although we will do our best to protect your personal data, we cannot guarantee the security of your data transmitted to our site; any transmission is at your own risk. Once we have received your information, we will use strict procedures and security features to try to prevent un-authorised access. - Third parties to whom we sell, transfer, or merge parts of our business or our assets. If you wish to exercise any of the rights set out above, please email us at bettina@hersecretweapon.com.